We need more than skaters to thrive. Sponsors, volunteers, refs, an extra pair of hands, you name it. Why not get involved, have a good time, and make some good friends too! Have you been thinking about playing roller derby but have had hesitations? Well there is no time like the present to become a part of an incredible and empowering sport. We have an open enrollment throughout our season and are always seeking new skaters. Officials are essential not only for games, but for practices as well. Referees (Skating Officials) determine and enforce penalties. NSO’s (Non-Skating Officials), track data and run the game. If you want to be a part of derby, but getting hit isn’t for you – become an Official! We need volunteers to help out on game day! Volunteers work in our merchandise booth, usher, run the info and raffle table as well as fill water coolers and perform on the spot track repair. Work one shift and get free admission for the entire event! As the fastest growing sport in the world, roller derby has captivated the attention of fans in Asheville and across the world. 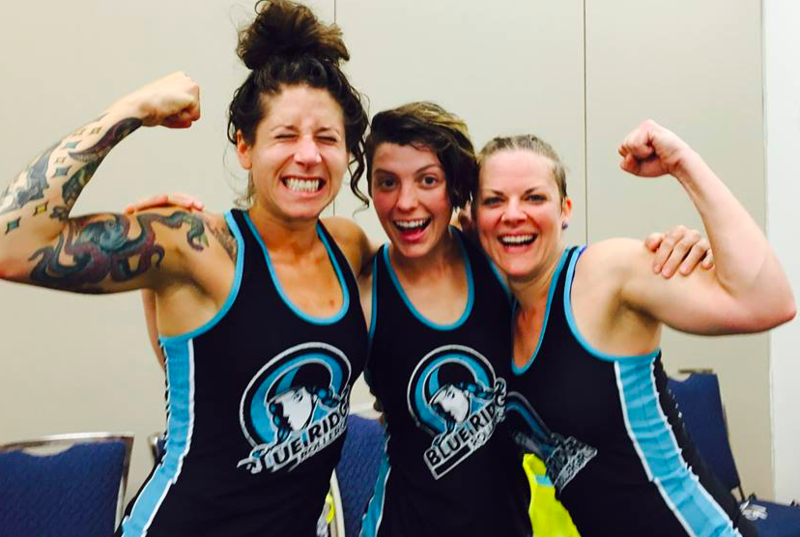 Since 2006, Blue Ridge has provided sponsors with valuable partnerships to access captive and passionate roller derby audiences. Be a part of the action.